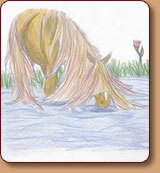 Spirit of the Saluda River is the story of Spirit, a blind 20+ year-old Shetland pony rescued from an island in South Carolina's Saluda River. Despite a difficult past and obstacles in his recovery, Spirit goes on to become an inspiration, particularly to deaf and blind children. 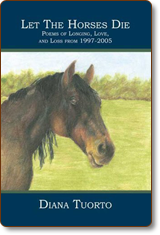 Based on the true story of an incredible pony rehabilitated by Palmetto Equine Awareness & Rescue League (P.E.A.R.L.). Janie's New Legs is the heartwarming story of Silver, a shy pony, rescued from abuse and neglect, and Janie, a fragile young girl, paralyzed from a car accident. 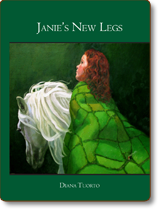 Janie meets Silver at a handicapped riding facility, where she goes to escape the constant confinement of her wheelchair. 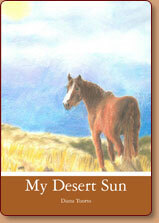 An extraordinary friendship soon develops and the two gradually begin the road to healing and recovery together. Let The Horses Die is a collection of honest and thought-provoking poetry. 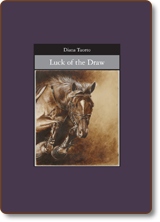 The poems in Let The Horses Die detail a young woman's journey from a teenager to adulthood, chronicling a rollercoaster of emotions and experiences along the way. From feelings of despair and anger come resilience and strength. Inspired by such notable poets as Edgar Allen Poe, Maya Angelou and Elizabeth Barrett Browning (to name a few), Diana's poems serve as a personal collection of moments that many young people have experienced.